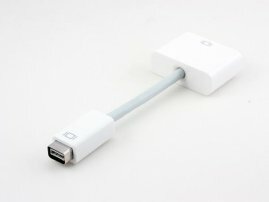 Super Short Mini DVI to DVI-D Cable Adapter : allputer.com - Accessories for all your Portable Electronics & Computers! - Optimal length: 14cm, perfectly to be used as an adapter. - Mac computers with Mini DisplayPort. - This cable is designed to hook straight from a laptop to a monitor.